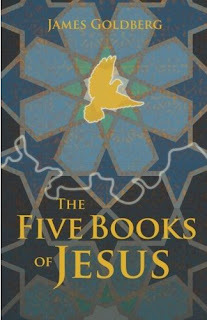 Last month, Scott Hales interviewed James Goldberg, author of the novel The Five Books of Jesus . Now, just in time for the holidays, James is giving away a copy of his book to one lucky MMM reader. The parables of Jesus represent a key part of the teachings of Jesus. They are also key to this giveaway. When you comment, please share your favorite parable and why. Read our recent interview with James. Read James's blog, Mormon Midrashim. 1. Leave a comment on this post. Share your favorite parable and why. • 5 days to enter (closes Monday, December 24th at midnight). • Winner announced shortly after Christmas Day. • Winner must respond via email with their address to claim the books. 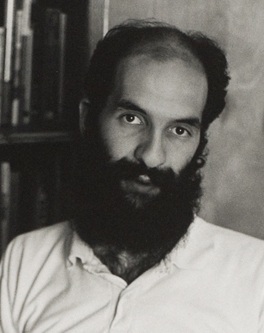 James Goldberg is one of the top five Sikh-Jewish-Mormon writers of his generation. He won the 2008 Association for Mormon Letters Drama Award for his play Prodigal Son, has had a short story nominated for a Pushcart Prize, tied for first in the 2010 David O. McKay Essay Contest, won the 2012 Wilderness Interface Zone Spring Poetry Runoff, and blogs at mormonmidrashim.blogspot.com. He is also co-editor of Everyday Mormon Writer, a website devoted to short, shareable Mormon literary works.